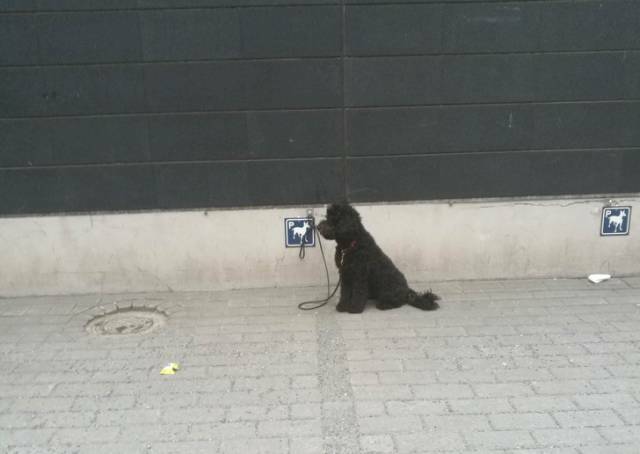 There is a law in Finland that makes everyone build special parking spots for dogs. Business owners can be fined if they don’t have these parking spots. 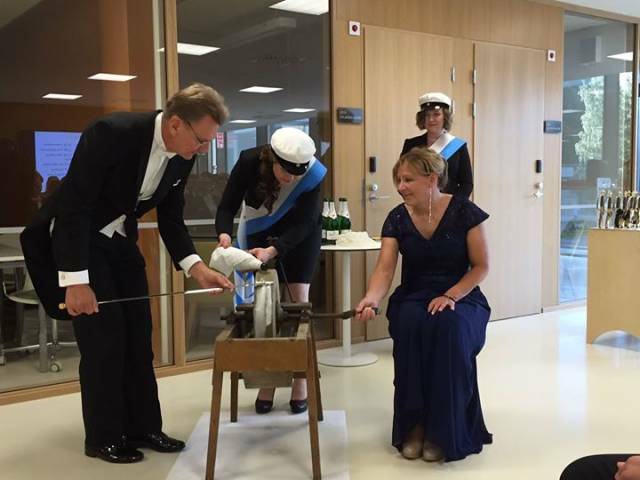 At some Finnish universities, they still have the tradition that when someone gets their PhD, the doctors are rewarded not only with a diploma but also with a sword. The only downside is that you have to buy the sword yourself. People from Finland are avid readers. 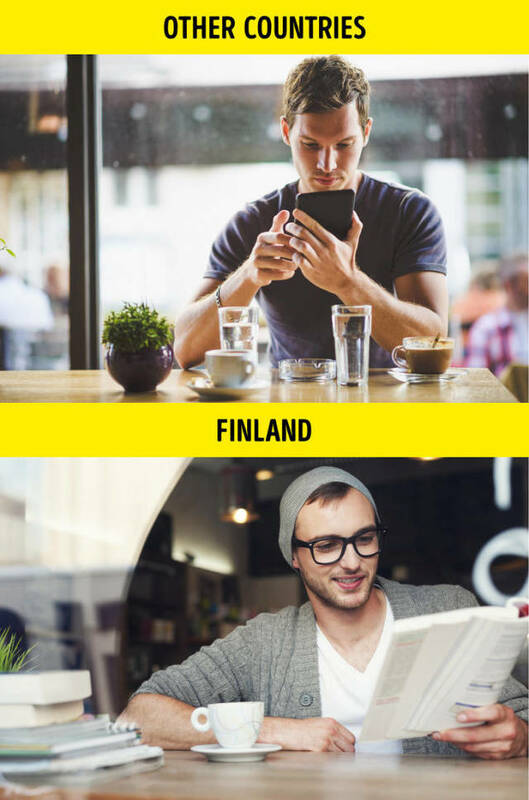 The Finns are one of the most avid reading nations in the world. The population of Finland is just over 5 million people but every year they borrow more than 67 million books from libraries. Private libraries can even be found in gas stations. And the most amazing thing is that in some big libraries, you can borrow not only books but musical instruments, sports equipment, and even sewing machines. 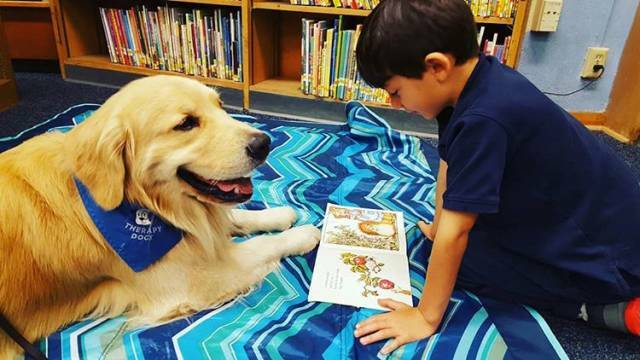 There are seeing-eye dogs that help blind people, and in Finland, there are special reading dogs that help children learn the difficult Finnish language. 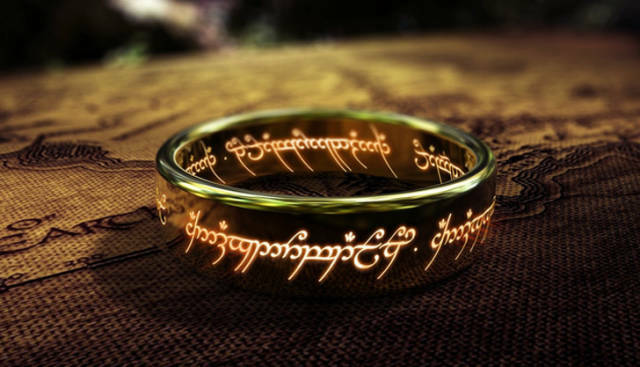 The Finnish language is one of the most difficult languages in the world and John Ronald Reuel Tolkien was so inspired by it that he took it as the base of the language of elves. There are 40 synonyms for “snow” in the Finnish language, but not a single word to say “please.” However, there are a lot of funny words that other languages don’t have, for example, kalsarikännit which means “drinking in underwear.” Also, there is no future tense in the Finnish language. 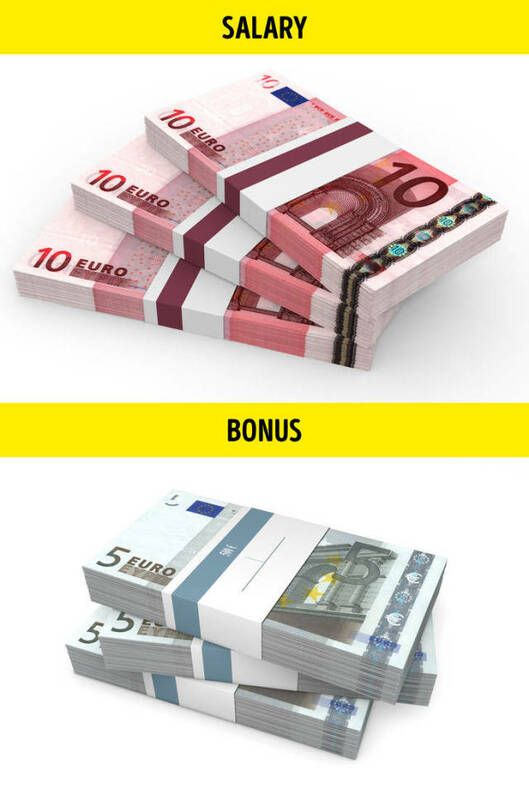 In order to stimulate employees to return from vacation, Finnish companies pay them a special bonus when they comes back to the office. Nobody hides how much they earn because, in Finland, it’s easy to find out how much your neighbor makes by simply calling a special number. 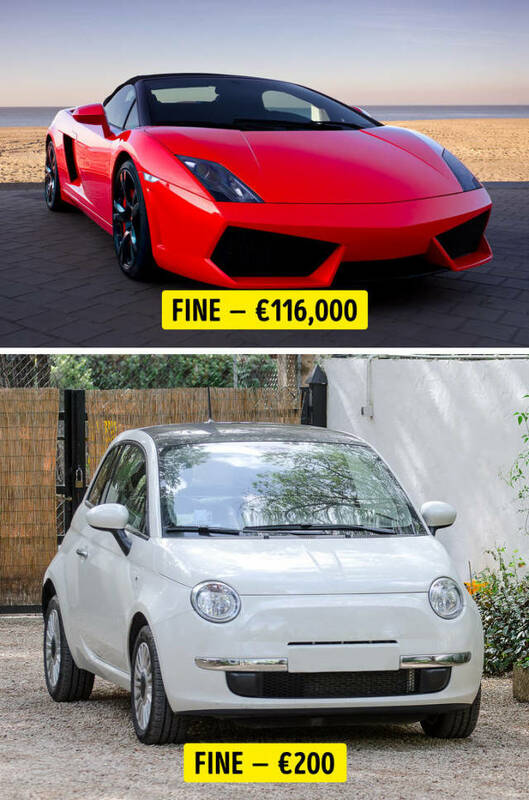 The size of the fine for speeding in Finland directly depends on how much a person earns. The higher the salary, the bigger the fine. One of the top managers of a huge Finnish company had to pay the biggest fine in history — €116,000. He was driving at 75 km/h where the maximum speed was 50 km/h. 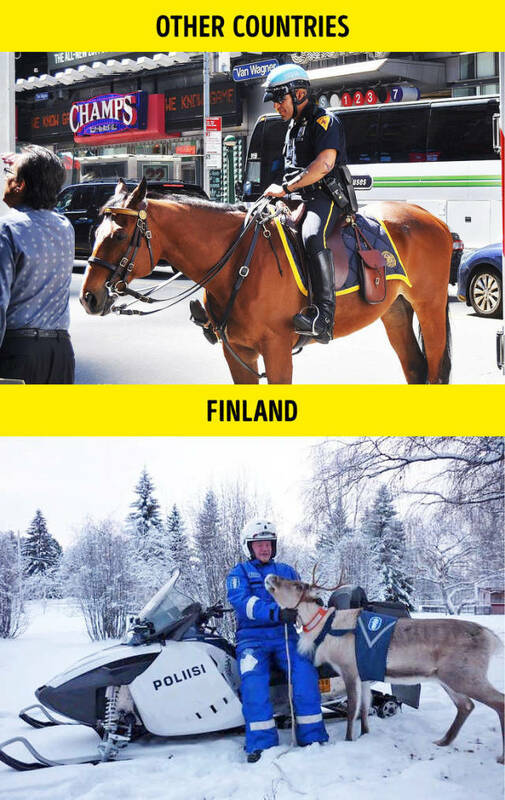 In some countries there are Mounted Police, but in Finland reindeer help policemen. This mostly serves a marketing purpose — to attract tourists to the northern parts of the country. 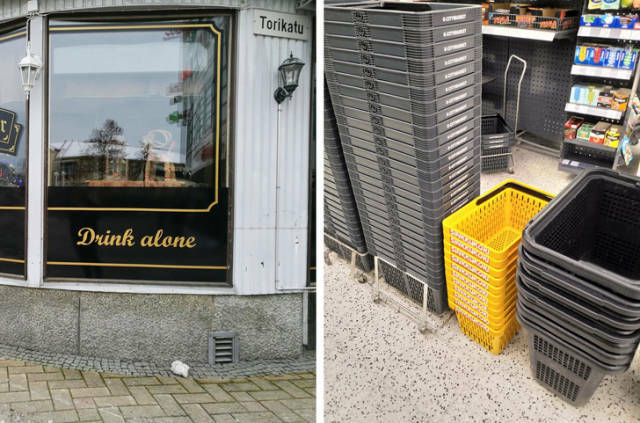 The Finns sometimes love spending time alone so there are bars where they can drink alone and in supermarkets there are special baskets for single shoppers (Sinkkukori). An average person from Finland drinks 85 liters of beer a year. 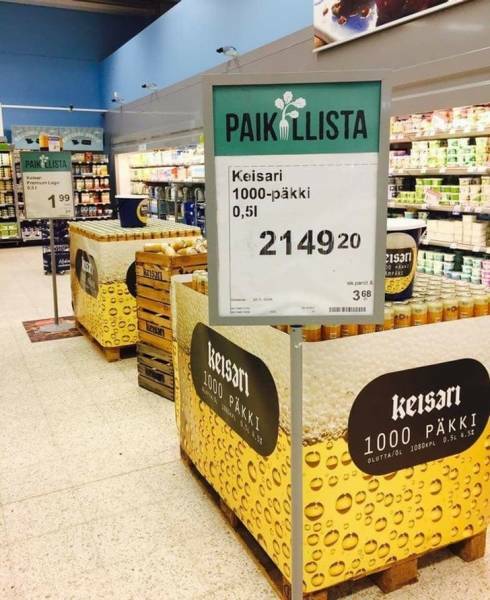 It’s no wonder that there are special offers in Finnish supermarkets to buy 1,000 cans of beer at the same time. 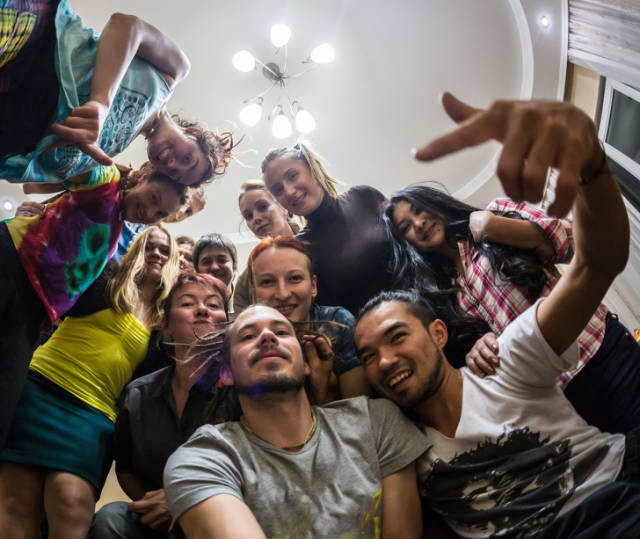 Almost every big university in Finland owns “party houses” that students can rent for free to have any event they want, even an event with alcohol. They look like regular houses with huge living rooms, several bedrooms, and saunas. Finland is first in the world on the list of countries with high coffee consumption. 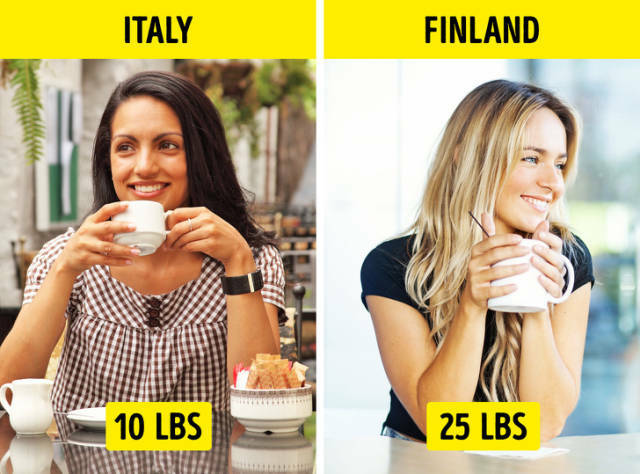 An average person from Finland uses 12 kg of coffee a year. Italians, for example, average only 5 kg a year. Helsinki is the most honest city in the world. 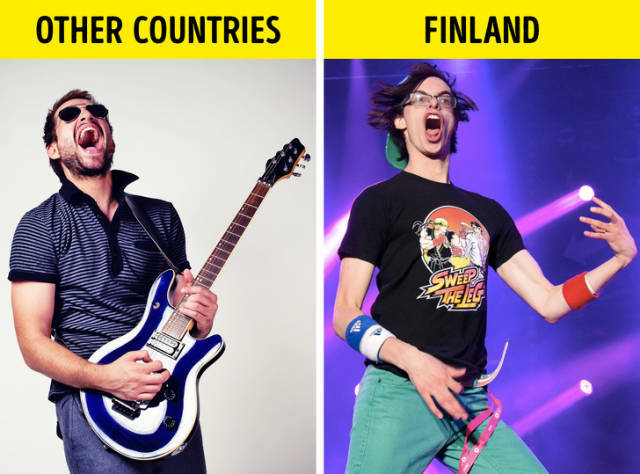 According to an unusual experiment that was conducted in 16 cities around the world, the capital of Finland was declared the city with the most honest people. The research experiment entailed putting 12 wallets with a phone number, a family photo, and a little cash around the city. 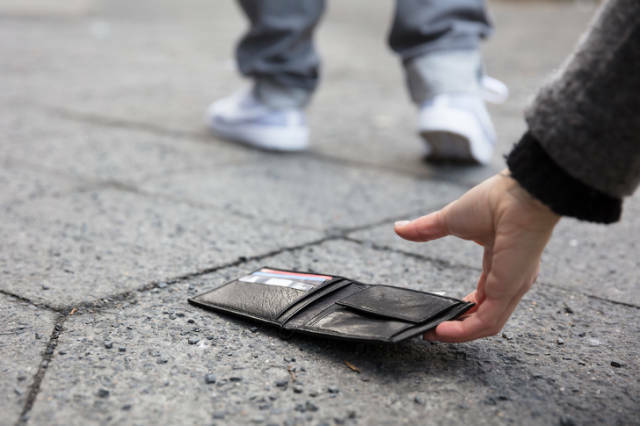 11 out of 12 wallets were returned to their owners in Helsinki, whereas in other countries only half of them were returned. As we said before, there are 5 million people in Finland. And there are 2 million saunas — more than there are cars. Every big company and public institution has saunas for their employees and even the prisoners in Finland can visit a sauna once a week. 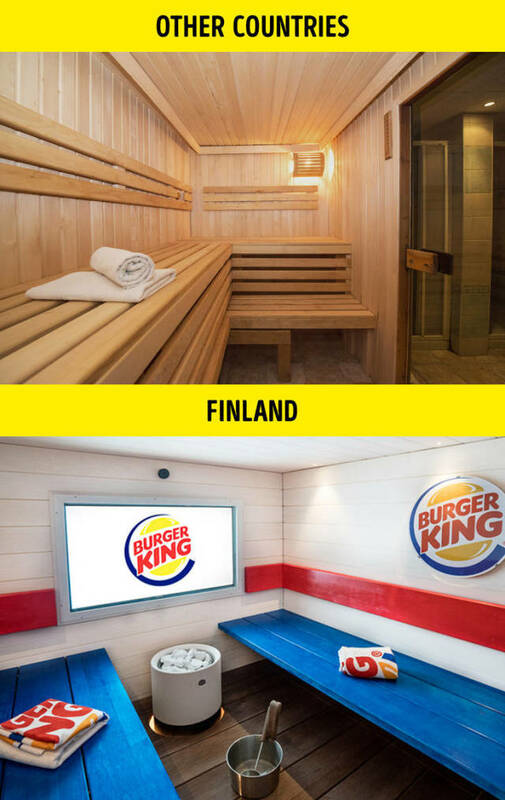 And the most original place where you can visit a sauna is a fast food chain in Helsinki. 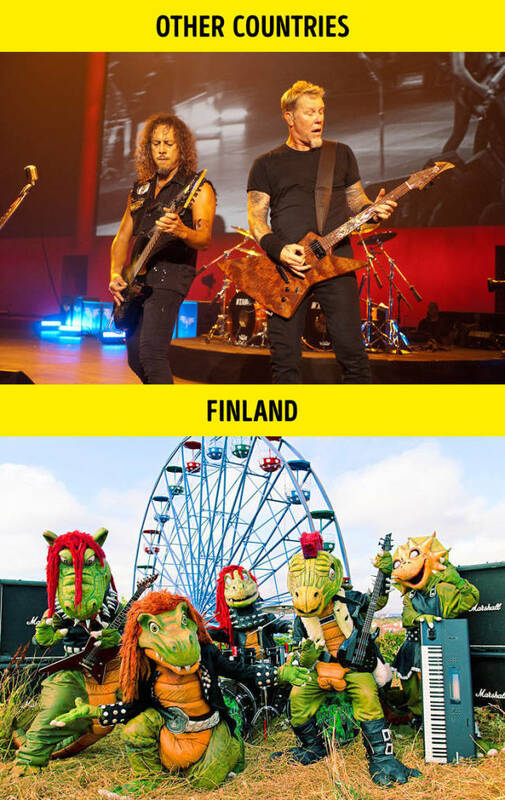 In Finland there exists the largest number of metal bands per capita. There are more than 600 bands for every million people and even children have their own favorite metal band called Hevisaurus. The musicians of this band perform in dinosaur costumes and sing educational songs. National Sleepy Head Day is a fun tradition in some Finnish families where the one who wakes up later than the others is thrown into water. 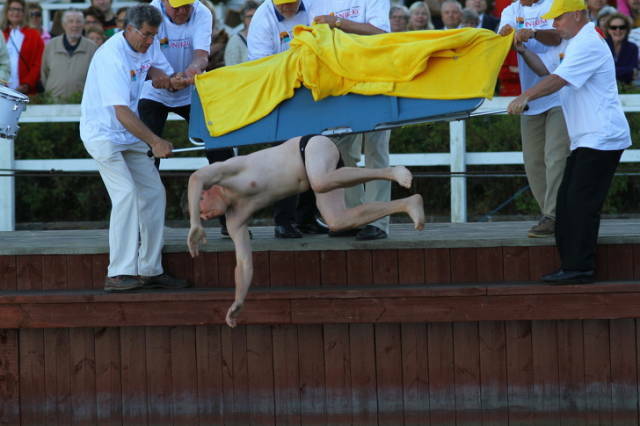 In Naantali, this holiday is special: a citizen who has made a huge contribution to the development of the city is thrown into water and all mayors since 1950 have been honored in this way. Aside from the unusual competition where men have to carry their wives, this country is famous for the competition where you have to throw your phone and a festival where contestants play an imaginary guitar. The recipe for the unusual Finnish shot is very simple: cut the middle of a sausage into a bowl shape, pour vodka inside, and put a drop of mustard on your hand. 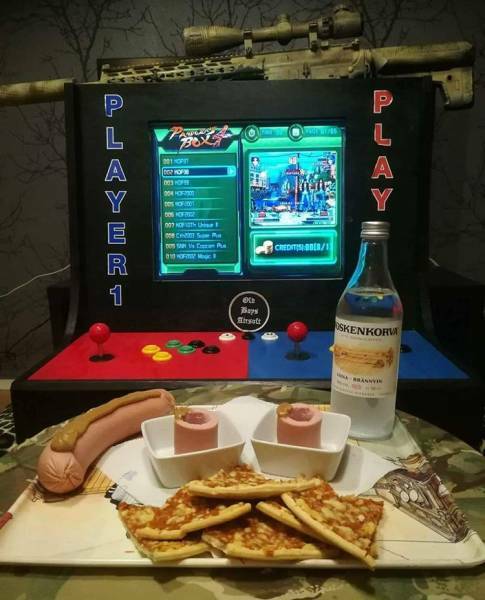 Lick the mustard first and then drink the shot and eat the sausage. 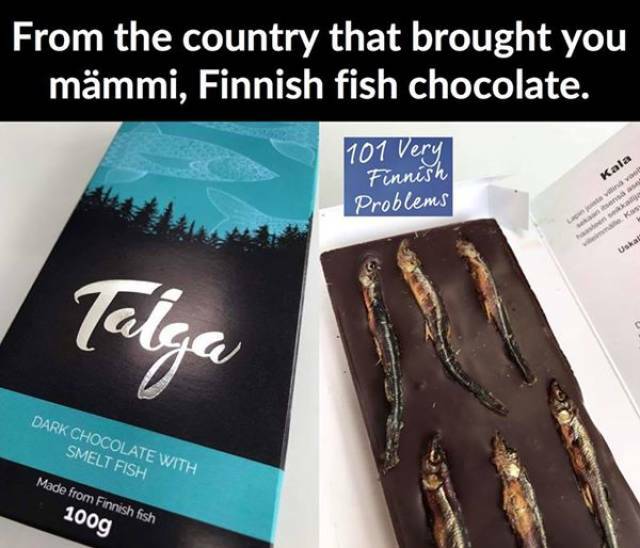 And those who love the combination of salty and sweet foods will love Finnish chocolates with smelt.